She was called the most beautiful woman in the world, but Elizabeth Taylor was far more than a pretty face she was one of the greatest actresses the movies have ever known. From her first success in "National Velvet" when she was just 12 years old, to her stunning performances in "A Place in the Sun, Cat on a Hot Tin Roof," and "Suddenly, Last Summer" to her Oscar-winning role in "Who's Afraid of Virginia Woolf?" and beyond Elizabeth Taylor showed herself to be a force to be reckoned with. "Elizabeth Taylor: Her Place in the Sun" is a film retrospective that spans her 70-year career, featuring production histories, behind-the-scenes stories, and reviews for each film. 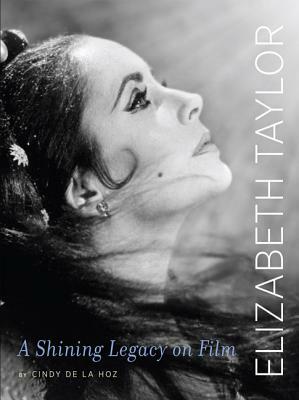 Featuring hundreds of rare photos, it's a dazzling tribute to Elizabeth Taylor, the film star. Cindy De La Hoz has been a devoted classic film enthusiast since the age of nine. She is author of several books on classic stars, including Lucy at the Movies, A Touch of Grace, , So Audrey, and Marilyn Monroe: Platinum Fox. Cindy lives in Philadelphia, PA.